Make sure your birds are kept away from predatory animals, such as raccoons, owls and hawks. These animals see pigeons as an easy meal and once they know your birds are living there, they will for ever be looking at any opportunity to eat them. 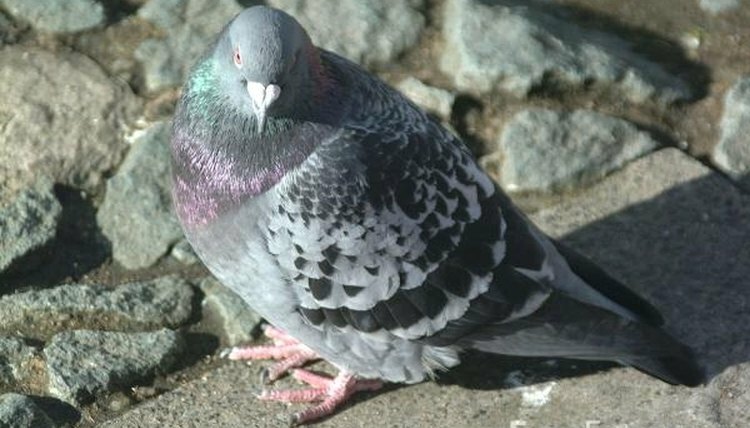 Cats and dogs should also be kept away from your pigeons. Always be kind to your birds. Pigeons are quite social creatures, and have no fear of man. They are intelligent and entertaining and fairly easy to tame. All you need is the time and patience to let them get to know you. Read on to learn how to tame pigeons. First of all, you have to decide whether to buy your pigeons from a private breeder or from a pet store. No matter where you acquire your birds, there are certain things to look for in a bird. Look for birds who are sociable. Putting your hand into the cage or enclosure with your prospective pigeons has to be done to ensure that your pigeons are capable of hand-feeding. Ignore birds that flinch and try to get away from your hand; they are not for you. When you have picked out birds with desirable traits, get them home and put them in a aviary outside. Pigeons like to be able to see their surroundings, and will be happy outside. Make sure that every day you try to hand-feed your birds and gain their respect. Spend time with your birds. After all they are an investment. After a couple of weeks of being cooped up in their cage, open their cage and feed them by hand as you usually do each day. This time though, open the cage and allow your pigeons to explore outside. Don't worry if they fly around or even fly away. They aren't gone for good. They will return in time for their regular feeding time. When they return, you can leave their cage open all the time, except for night time, so that your birds can come and go as they please.